In study after study the HydraSleeve (U.S. Patent No. 6,481,300; No. 6,837,120; No. 9,726,013; others pending) outperforms other methods of sampling technology. The cases below are truly Independent studies. We had no input whatsoever in administering or financing any of the results you see below. 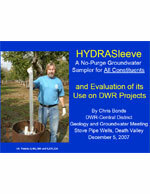 "The HydraSleeve was substantially less expensive"
"The HydraSleeve was simpler to deploy and retrieve, and permits a larger volume of water to be collected." The Department of Energy's Office of Environmental Management uses the HydraSleeve to sample 230 wells at their Savannah River Site. 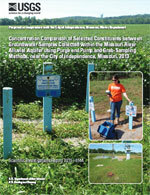 EM expects to save over $2.5 million over the life of the site's groundwater sampling program. 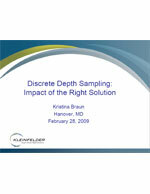 Saves time over traditional purge methods of sampling. "The Hydrasleeve...allows remediation engineers to monitor for contaminants...without purging, a time-consuming practice of removing water that often must be disposed as hazardous or radioactive waste." 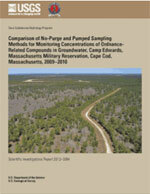 USGS Compares No-Purge and Pumped Sampling Methods for Monitoring Concentrations of Ordnance-Related Compounds in Groundwater. 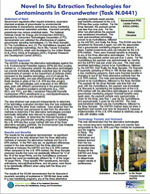 For specific information about the HydraSleeve, see pages 1, 8, 14, and 20. 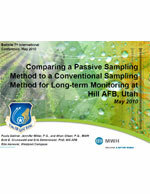 This study includes agricultural nutrients sampled with the HydraSleeve as well as numerous other parameters. 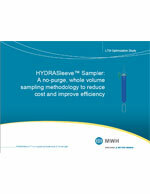 The takeaway is that HydraSleeve can work to replace the current sampling method (volume purging) except for sample volume needed for duplicates samples. 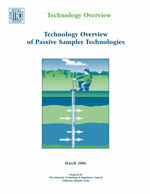 The wells are all 2-inch diameter with 5-foot screen intervals, limiting sample volume available for no-purge sampling. 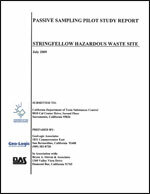 The laboratory required 2-liters of sample for duplicate analysis. The investigators are planning to either reduce the number of parameters analyzed or reduce the analytical volume requirements for duplicate samples during the next phase of the study. The use of the HydraSleeve following a standard procedure should produce highly accurate and reproducible data at both clean and contaminated water sites. 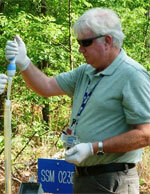 The HydraSleeve should be seriously considered for use on all future groundwater sampling projects where appropriate. 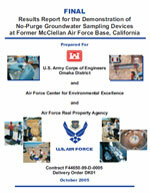 National Defense Center for Energy and the Environment (NDCEE) compares no-purge sampling to low-flow sampling. 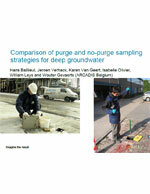 Use of no-purge sampling device has made it safer for technicians to collect the necessary samples with no impact to the quality of the data. 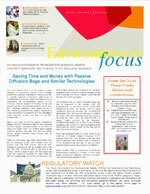 In addition, an increased concern for safety does not have to lead to an increase in cost. "HydraSleeves reduce cost as there is no expensive equipment used, virtually no waste is generated and the technicians can collect a sample in less than half the time of low-flow techniques." 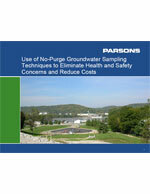 The method does not require an electric power source and submersible pumps. Less labor is required relative to conventional methods. Zero-purge sampling, requires approximately 20 minutes per well as compared to approximately 45 minutes per well for low-flow sampling. On average, zero-purge total metals results exceed the corresponding low-flow dissolved metals results by 108%. 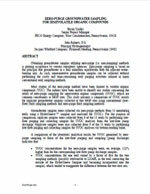 On average, the zero-purge dissolved metals results were 19% higher than the corresponding results for samples collected via low-flow methods. HydraSleeve technology has proven to be the RIGHT solution!